Our Welcoming Arts Summer Programme is out! Summer in Edinburgh is a very special time of the year, and it’s not just because of the weather. The city receives over a million visitors from all over the world and street performers fill the streets with music and colour as the main Edinburgh Festivals take place. 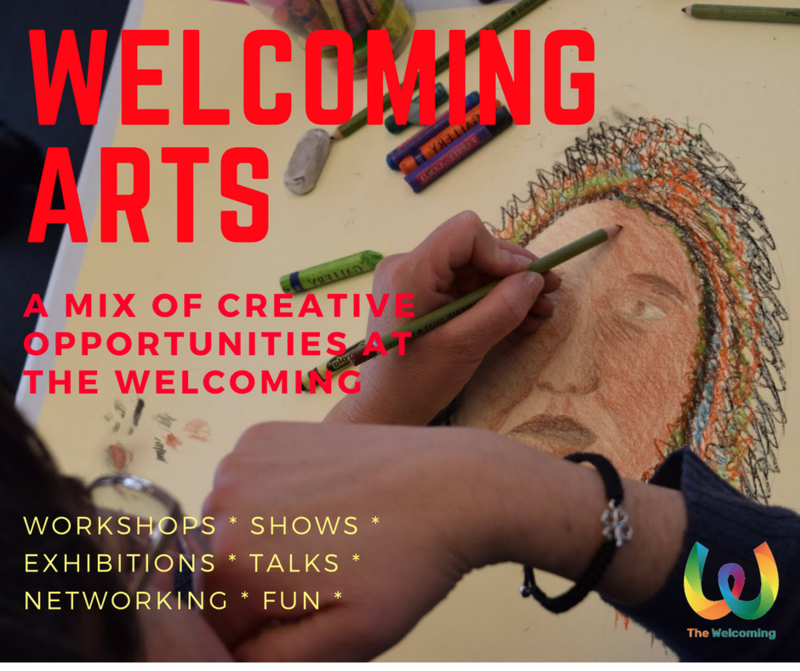 At The Welcoming we’ve put together a programme full of events for all tastes -from theatre, dance and visual art to poetry and film. We even have a special invitation to join us at the Beyond Borders Festival in the Scottish Borders, where we will be showing Scotland how a small charity like us makes a big difference! So even if you know Edinburgh like the palm of your hand, you are bound to find something new and exciting in our Welcoming Arts Summer Programme! We have a lot of free festival tickets to give away and would like for you to join us as we get into festival mode! Come along to one of our three Festival Planning Sessions, where we will help you find interesting shows and give you free tickets for them. These sessions are also excellent opportunities to meet other people you might want to do festival activities with -though there will be a lot of big group outings, you might just want to go solo or join a smaller group. Have a look at our Summer Programme and get in touch with any questions. We’re looking forward to a creative summer together!